Bobbalin’ Hot is from the cultural melting pot of Birmingham and grew up mainly listening to her dad’s bass heavy reggae collection and calypso – or was that woken up by it? She has been DJing since 2001. Bobbalin’ Hot has djed in Japan; including Tokyo and Sendai, Poland and Ireland and regularly DJs in the UK. 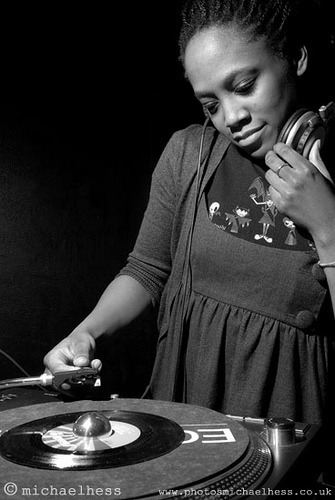 Genres of DJing choice are afrocentric, electronic and eclectic. Bobbalin’ Hot is part of mama feel good! collective.